We’ve already sold a few spots for our upcoming Overhaul Class! 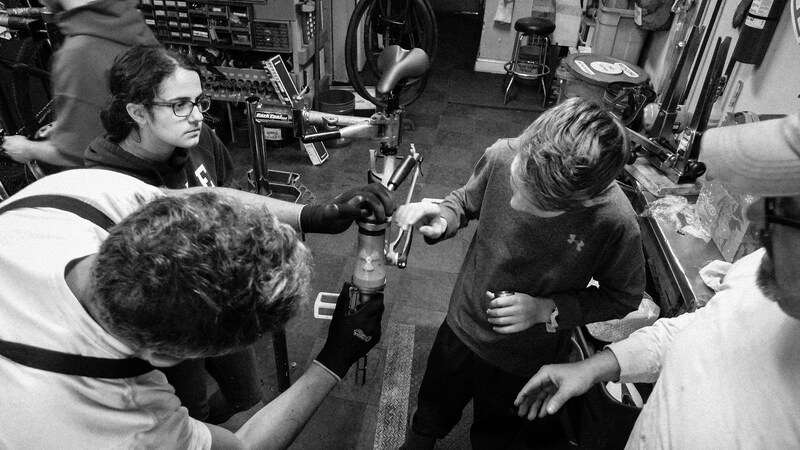 Don’t miss your chance to learn to overhaul your own bike during the changing of the seasons!!! This six-session Winter Overhaul Class will taught by Matt and Martin. We will be meeting Sundays from 2:00 to 5:00 PM, November 4th through December 9th. Have you ever wanted to bike, camp overnight, and just keep going? 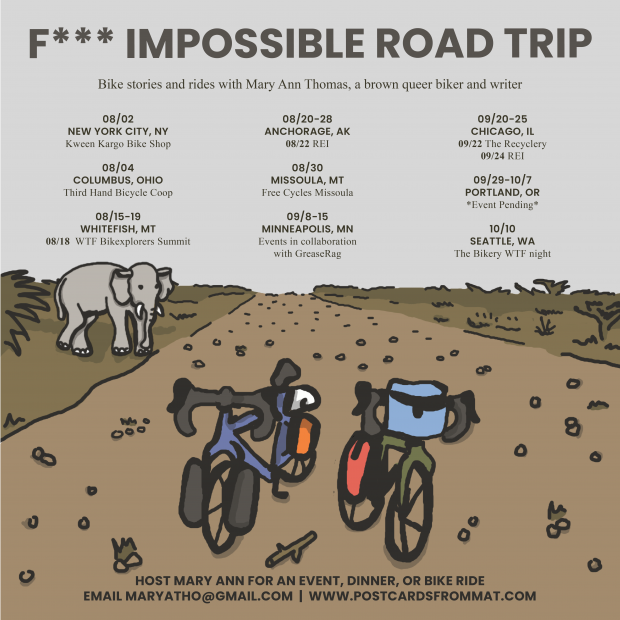 Join us Saturday, September 22nd at 6:00pm for a presentation on bike touring from Mary Ann Thomas, who has bicycled across North America and India. She will share stories from the road, demystify logistics and costs, and help you figure out how to make your dream bike trip happen.